“We need to have our own ministry.” I heard these words a lot in the wake of closing our St. Paul’s Homecoming Center in 2015. The Homecoming Center was the ministry our church formed in response to Hurricane Katrina in 2005. The center began as a resource for people in the Lakeview neighborhood or New Orleans to wash clothes and take showers in the first months after the storm and evolved into a ministry to help people return to their homes. The Homecoming Center hosted roughly 60,000 volunteers and served over 80,000 residents through our many programs and services over the course of its 10-year life. As volunteers and recovery funds dried up it became a center for local senior citizens in the Gentilly neighborhood, serving 5,000 – 7,000 residents. After two years of that work, it became apparent that the season for the center was at an end. We gave thanks for all the love shared over that 10-year period and closed the doors. St. Paul’s is proud of the work we did. As a result, the question quickly turned to what was next. “We need to have our own ministry,” people said. There was urgency about the statement that felt off to me. It felt a little like a grab at status. Were we going to rush into having something just so we could say we have something? I understand the pride wrapped up in the work our center did. Yet, I do not believe we can force ministry. Real ministry comes out of both a felt need and community’s call to meet that need. It’s organic, and it’s not really “our own ministry,” it’s God’s. The Homecoming Center was an organic endeavor that emerged out of felt need and the community’s desire to serve. Doing “our own ministry” right needed to be organic and would require discernment, and at this point in our community life, there was not one particular felt need in Lakeview that was screaming for our response in the same way. That’s how we started working with several existing ministries who we’ve come to think of in the old Episcopal Church language as “Partners in Mission.” We’ve partnered with several organizations in the city, but one of our most successful partnerships has been with Covenant House. 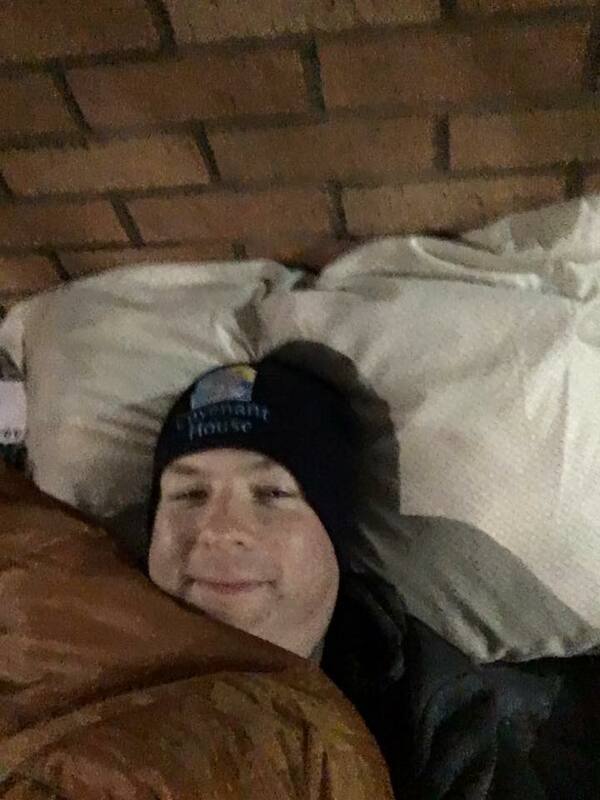 A few years ago, I was asked to participate in the Covenant House Sleep Out, an event that allows people to raise money for Covenant House’s work with homeless and at-risk youth, while also spending a night in solidarity with those who live on the street. At the event, participants get to know some of the residents, and each other, and sleep out on the street. I was moved by the residents and volunteers I met at the event, and by the ministry Covenant House does. I was moved by their commitment to seeking and serving Christ in all persons and respecting the dignity of every human being. I began to tell others in the congregation about it. While I’ve been less successful in tempting others to sleep out on the street with me, I have been able to get people interested in donating and volunteering in other ways. One of our parishioners made a substantial donation to help fund doing a quarterly meal for the residents. 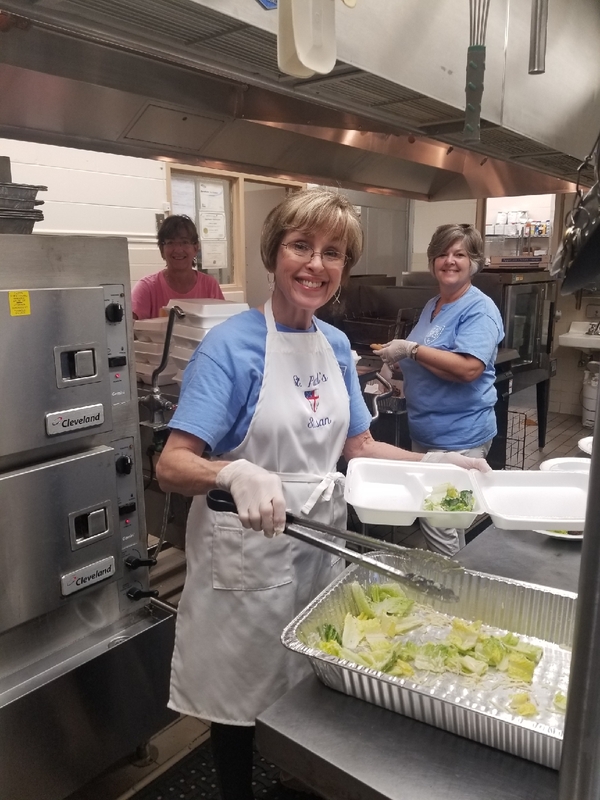 Volunteers from St. Paul’s prepare, deliver, and serve a meal to the residents, while also spending some time getting to know them over dinner. Then we provide an activity. We’ve done art projects, had musical performances, and played games with residents. We’ve collected Christmas presents and school supplies for residents and their children. 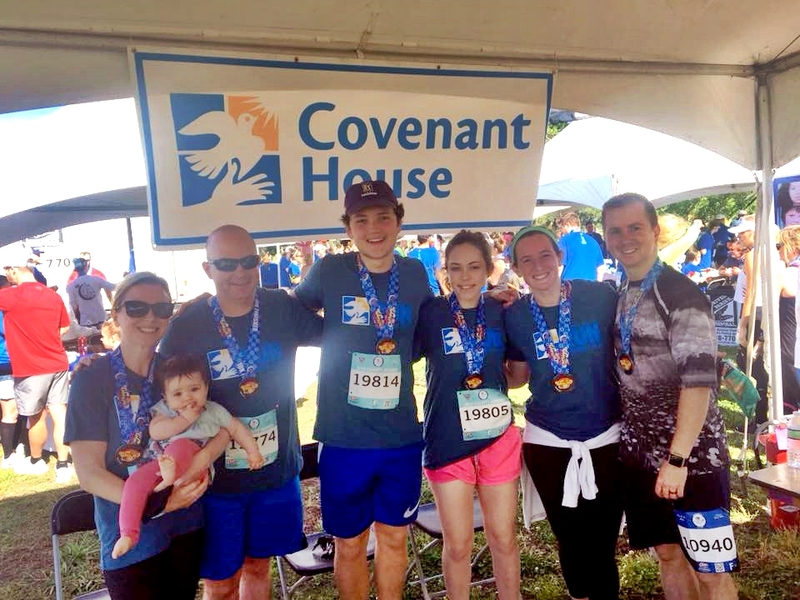 Our run-walk group has run the Crescent City Classic as a charity team for the last two years to raise funds for Covenant House. More and more parishioners are beginning to get involved in this partnership, and some have sought other ways to volunteer and to donate to the cause. We’ve also had opportunities to learn about the challenges of homelessness in our city, as well as become involved in advocacy work around human trafficking as a result of this relationship. Jim Kelly, director of Covenant House, says St. Paul’s is a model congregation for the work they do. If more churches followed suit in forming such partnerships think of all the lives that we and our partners could touch together. God calls us to be individually and as a community by serving, striving, and respecting in partnership with ministries already sharing in God’s work. As a church of approximately 450 members St. Paul’s constitute a large volunteer base. As we discern what is next for us, in the meantime why not get out there and serve our community? Why not take the time to learn what the needs are in our community, and figure out how we may be uniquely equipped as a community to respond to those needs? Why not participate in the work God is already doing out in the world? Maybe we’ll find that this is exactly what “our own ministry” is after all. To meet the poor up close, and to witness ministry in the everyday, I’d like to recommend Shelter, an award-winning documentary about the brave and resilient young people served by Covenant House(shelterdocumentary.com).